11"tall. Click to enlarge photo. 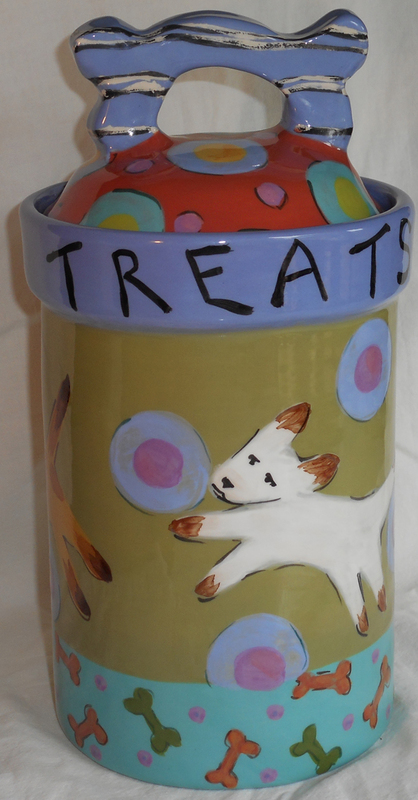 "Dogie Treat's" is written on the rim. Allow 4-6 weeks delivery. Treat your pet with this special gift to show him how much he's loved. He'll be the envy of all his friends! We can also personalize it for you! Allow 4-6 weeks delivery.